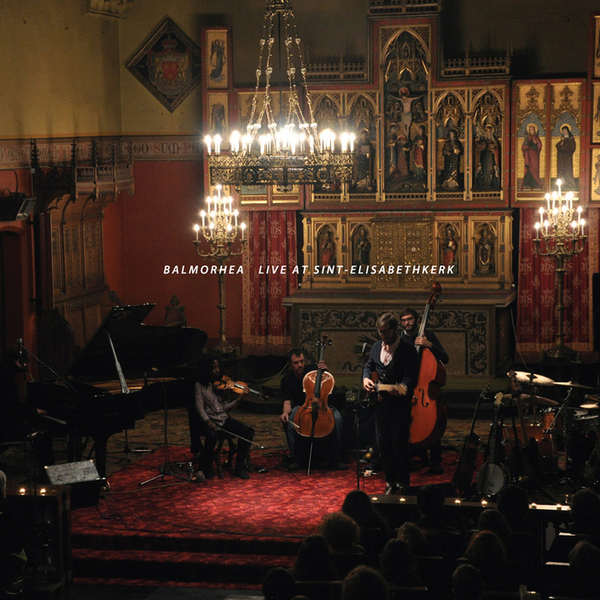 "Though Balmorhea's studio recordings never failt o impress, their songs have always been most powerful and affecting when performed live. the group's intense soulfulness during a live set is consistently remarkable and this special recording from Ghent, Belgium is no exception. The opening track alone is goosebump-inducing, and perfectly sets the tone for this intimate recording. Throughout the evening the band played with so much energy and emotion that's hard to believe they had just arrived at the venue after a long sleepless drive from Spain. With massive stone walls and floors, the Saint Elisabeth Church (built in 1873) colored each song with a natural reverb and delay, while amplifying the tiniest incidental sounds from the crowd. Despite the intense cold of the unheated church, the band's fingers remained nimble, warmed only by the glow of the candles used to light the stage and center isle. As the candles burn out the show comes to an end with the crowd-pleaser "Untitled" followed by a solo piano encore performance of "Constellations"."